Got a set of trail tires for the JK. Gona have to get some use out of them this summer. Debated between 35x10.50 Boggers, SSRs, and these Q78-16 TSLs. For a width comparison. The TSL Q78-16's are not mounted on the wheel in this picture. 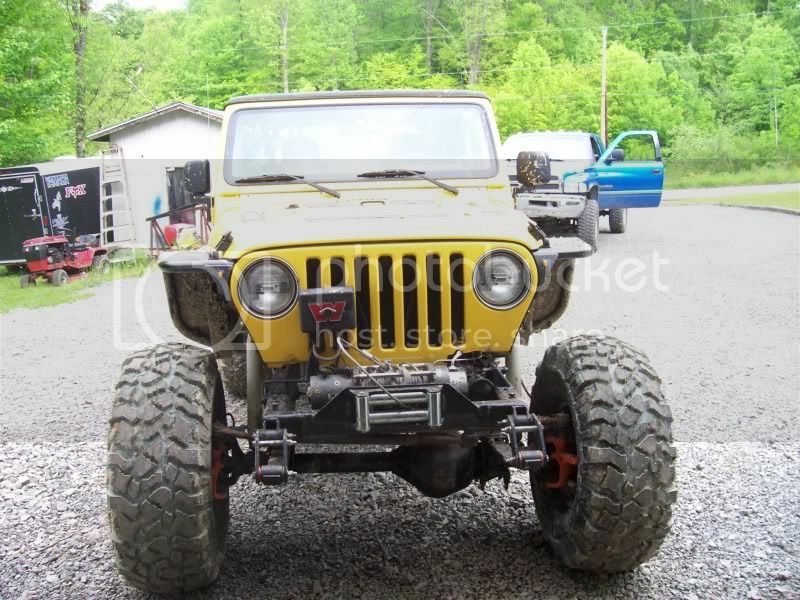 The TJ has 37x13.50 Pitbull Rockers. I'll get some better comparison measurements and pictures with the 37" Rockers and 35" MTR/Ks. making a nice little JK build there Slade. J-rod wrote: making a nice little JK build there Slade. A "little" more than what I planned. Have to keep it daily driver comfortable and 100% easily inspectable though. Reworking upper and lower shock mounts is next on the list. 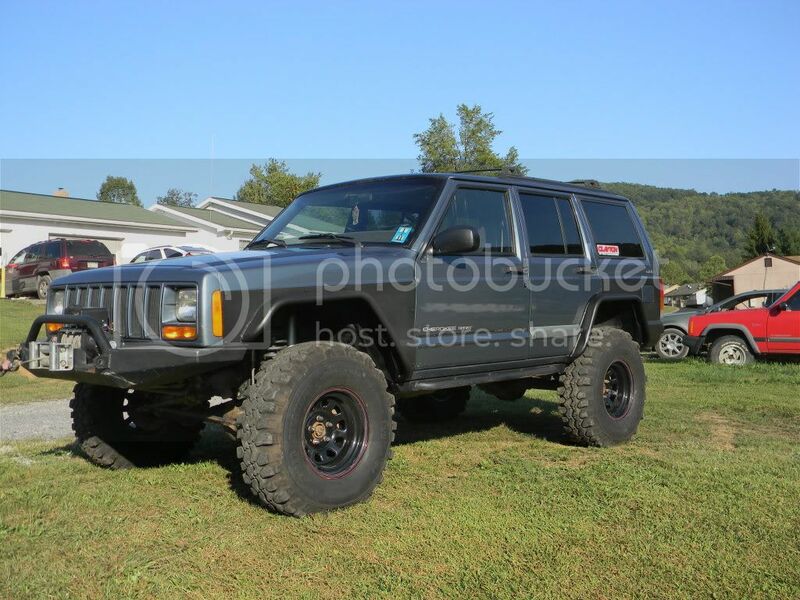 Goal is to run 13"-14" front shocks and 12"-13" rear shocks with only 1.5"-2" of bump stop. Travel will be based on coil free length and the Antirock sway bars. I'm happy with them on the street also so far. The JK is my daily driver, so it sees plenty of street time. They all balanced out and 2 took less weight than expected. They are light in comparison to other Swampers and only spec 1lb heavier than my 35" MTR/Ks. They aren't as loud (YET) as I expected and run pretty good on the road. You can feel the large lugs while driving and with nearly 1" tread depth it sorta feels like the tread wiggles occasionally. Still very happy with them for a SUMMER daily driver tire. They are surprisingly comfortable for DD use. Noise is still VERY acceptable and I won't hesitate to run down to Fairmont for a Jeep ride with my almost 2yr old to go on a Jeep ride. Anyhow, I got passed by a Chevy running Nitto Mud Grapplers on the interstate that made the TSL Q-78's sound like a all season. Last edited by SLADE on Tue Jun 02, 2015 10:03 am, edited 1 time in total. I ran the mud grapplers for a while. At 55 my ol cj sounded like a B-52, it was dang near intolerable. I ran a set of 37's on my Dodge for a while. I like the Mud Grapplers, they are a great tire but they are noisy. 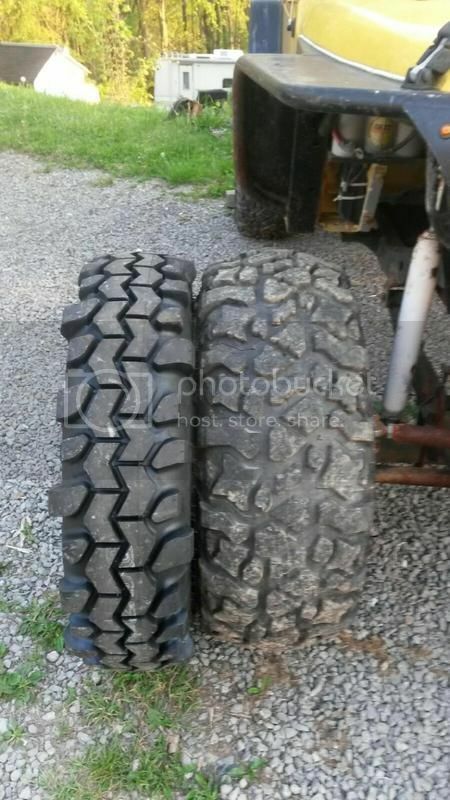 Good to hear you are liking these, I am still deciding what tire I want to run once I get my Jeep to "stage 2"
But know that I want a tall skinny tire, these seem to fit the bill very well. Mine will still be staying street legal, but it wont see alot of street mileage, since its not really a daily driver, just for fun. So I am thinking of going with a pretty aggressive tire, that I can still stand on the pavement, that wont wear super fast. What is the true height on those once mounted and aired up? 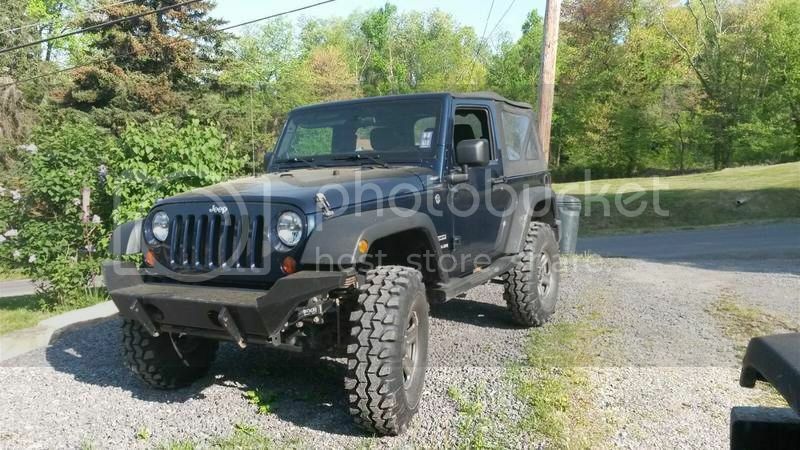 Website says 35.5"
The JK is my daily driver and is ran much more than my truck. I still have my 35" MTRs and originally planned on swapping back and forth. These are comfortable enough though I'm not too worried about it until it gets cold, snowy, and icy. Ive been averaging about 8k miles a year, so even if I ran them year round Id still get 2-3 years out of them. 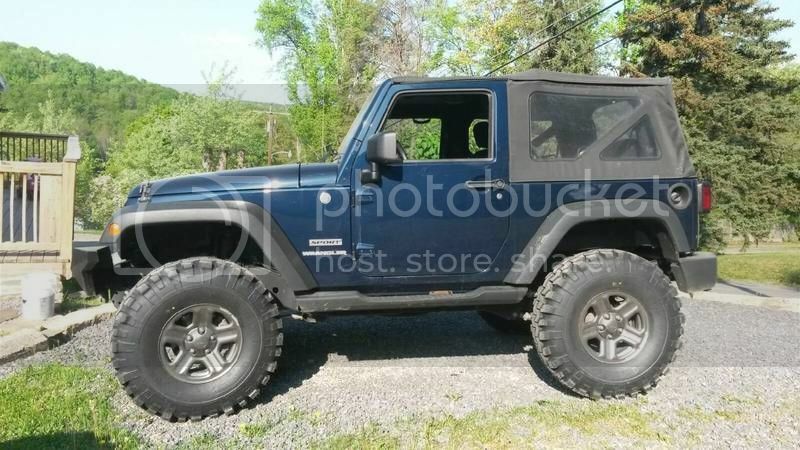 20k miles is probably a fair expectation out of them on a JK especially with 27/32" tread depth. Mounted with the weight of the Jeep on them, they are 35"+ tall with around 28psi in them. After my MTRs wear out I'm looking at getting Nitto or Toyo 285/75R18s for my everyday tire. They are a narrow 35" tire. Guess could try grooving them. I bet with a few grooves and sipes, they wouldn't be too bad in the snow. Some of the street radial MT's do not have a lot of sipping and people run them year round. Plus since you wouldn't be relying on it for your everyday commute it probably wouldn't be too bad. They are skinny, so that would be a big help. Maybe split the center Vs in half with a groove and put some small sipes in the outer lugs.